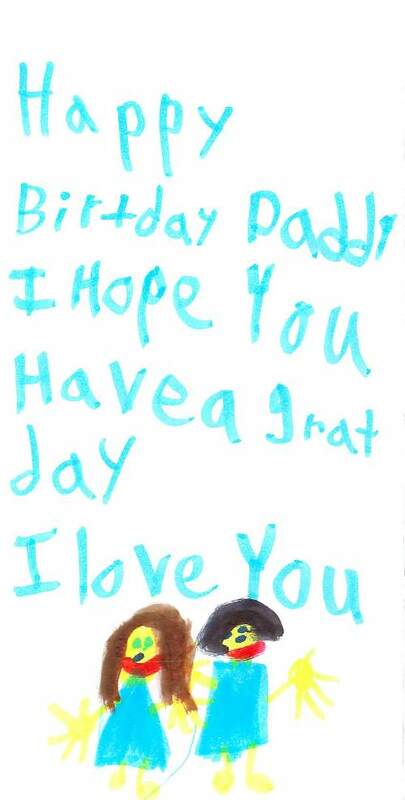 I received this card from Thing 1 today after school. She is such a joy and it is days like today that help me look past all the times she acts like a bratty six year old. She and her sister make my life fun. Hot Mama has done a wonderful job in raising them and I like to think I have done a decent job so far myself. Thing 1, Thing 2 and Thing 3?